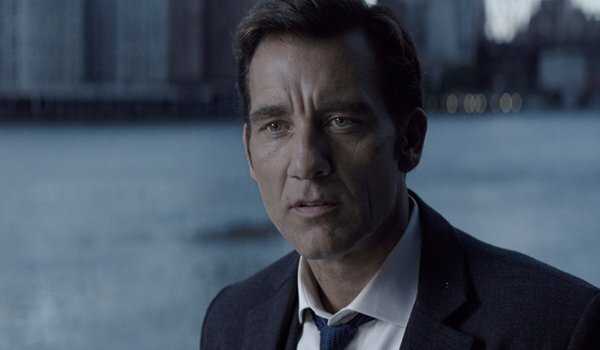 Clive Owen stars as Police Detective Sal Frieland who searches for a hacker (Amanda Seyfried) who can alter a person's recorded history for a price. Going undercover, Sal hopes to find the hacker and murderer who the department believes is the same person (although Sal's bosses are far more interested in plugging the leak into how the hacker is breaking into the network than solving the murder). Part post-noir mystery and part attempted indictment on social media and sharing your life online, Anon fails on both counts. Owen is fine as the weary detective (although I can't really tell if that's his character or his reaction to the script in some scenes). Seyfried wouldn't be my first choice for the mysterious ingenue, but she isn't really helped by the script either. Despite producing an interesting looking film, Nicol has to take the brunt of why Anon fails. The future is never really properly set-up, nor does the script explain the difference between these all important recordings and actual human memories. At one point the hacker attacks Sal's recordings, but he still has his memories of those events, so they are obviously distinctly different... except when it isn't convenient for the plot. It also doesn't help that Sal is really the only one invested in solving a murder that even the script itself begins to ignore at some point. The story isn't also helped the ridiculous nature of Sal's undercover assignment, him getting romantically involved with his target, or by a convoluted final act that includes a late twist that creates at least as many plot problems as it solves.